WASHINGTON (CNS) — In late October, the Trump administration announced plans to send more than 5,000 troops to the southern border ahead of a group of migrants from Central America heading north. 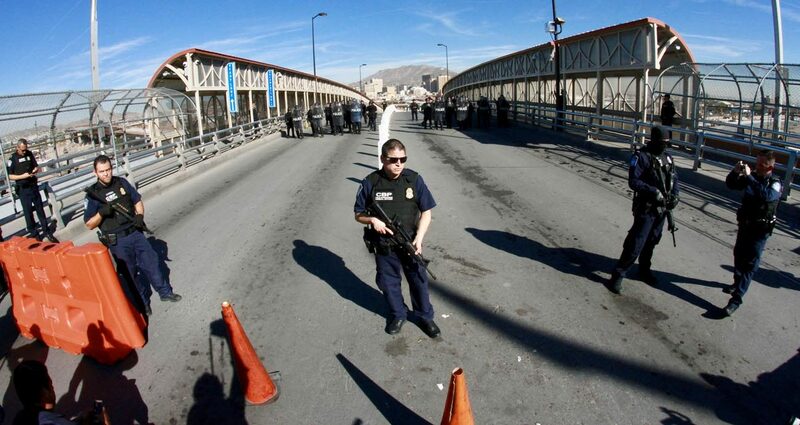 El Paso Catholic Bishop Mark J. Seitz, who met with immigration authorities prior to the incident, said there’s been an uptick in the number of migrants entering in October and immigration officials said their facilities are past capacity to handle the incoming flow. “What’s happening is that people who are too poor to pay a coyote (a smuggler) … are banding together” to travel with others, finding safety in numbers, he said. 14,000 or so illegal aliens is an invasion. The President takes an oath to protect the United States and her citizens. He doesn’t answer for what would Jesus do. You wouldn’t be able to just stroll into these central American countries looking to take up a home or advantage of their social programs. Our nation’s resources are depleted. Please stop excusing their criminal intentions with Jesus and his mission. You’re doing a wonderful job to welcome and comfort the stranger; however, their is a right way to immigrate. We are a nation of Laws, not men.